Maunder, R., Turner, S., Sneddon, S. and Crouch, A. (2012) Editorial. Enhancing the Learner Experience in Higher Education. 4(1), pp. 1-2. 2041-3122. Hill G., Turner S. (2012) "Referencing within Code in Software Engineering Education! 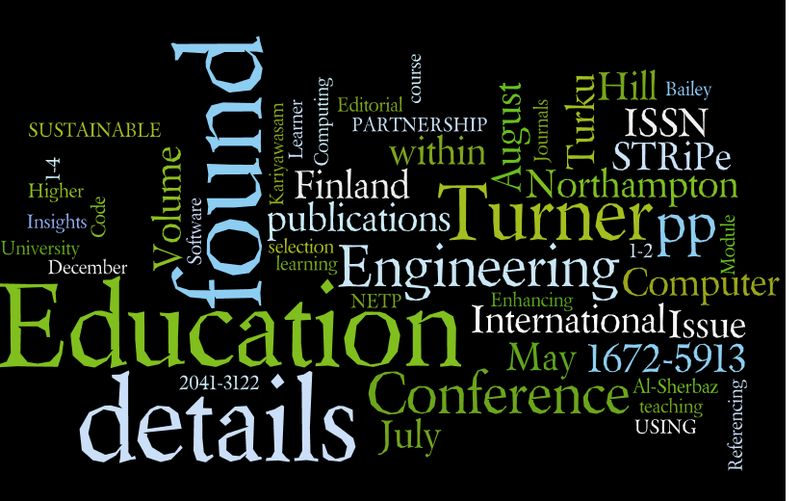 ", Computer Education, Volume 10, Issue 166, May 2012, pp. 1-4, ISSN: 1672-5913. 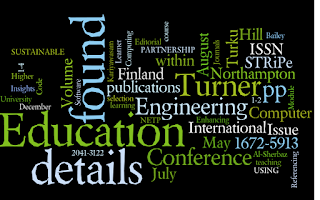 Bailey D and Adams J (2012) "NORTHANTS ENGINEERING TRAINING PARTNERSHIP (NETP), A MODEL FOR SUSTAINABLE, INDUSTRY – UNIVERSITY ENGAGEMENT" International Conference on Engineering Education 2012 Turku Finland July 30 – August 3, 2012.